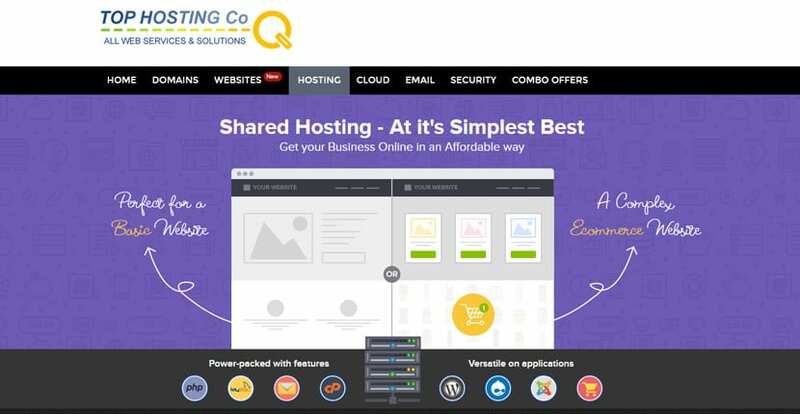 Top Hosting Company Review 2019: Is Top Hosting Company a Good Hosting? Top Hosting Company enables you to choose hosting served out of the U.S., U.K., or India. They’ve got the features and services you need to come up with a comfortable and successful solution for your business requirements. Top Hosting Company is a hosting provider based out of Dubai, but has the global reach to effectively serve their customer base. They provide shared hosting, dedicated servers, cloud servers, virtual private servers, and reseller packages to their customers along with a choice of data center from three locations in the United States, the United Kingdom, and India. True to their global ambitions, they also provide their services in a number of languages and currencies on their website. Their products, features, and services are highly diverse and almost anyone can find something to fit their needs. Their website is available in Russian, Arabic, Bahasa Indonesia, German, Spanish, French, Portuguese, Turkish, Simplified Chinese, and English. WordPress Hosting: There are four plans dedicated to WordPress, the world’s most popular content management system. Website Builders: Top Hosting Company offers multiple website builders, including Weebly and Impress.ly. Impress.ly is particularly suited to business websites, since its main focus is on churning out a fully-responsive version of your website from a Facebook page or an existing website. Customized hosting: A great feature of their products is that most allow you to add on a whole range of services and features to tailor your hosting service to your specific needs. This includes things like selecting your OS or control panel of choice. This might come at an extra cost though. It may be a bit frustrating that with each plan, you’ll have so many options in terms of add-on features and services. However, for most, it’ll be refreshing to be able to tailor their features and hosting experience to their tastes and budgets. Plus, through Softaculous, almost every CMS is available for installation. Unfortunately, Top Hosting Company does not seem to readily advertise an uptime guarantee. Top Hosting Company offers a range of hosting products with shared, dedicated server, VPS, and cloud server hosting all covered. The terms and freebies that come with each are different, so you should carefully read the fine print before signing up with a specific plan. Their hosting isn’t the cheapest but is certainly one of the more affordable options, especially considering that many plans come with unlimited resources. With the exception of shared hosting, plans for hosting in different countries are differently priced. Linux shared hosting: You can choose from four plans to be hosted out of India or the United States. If you’d prefer U.K.-based servers instead, you have three shared hosting plans available. All products come with a risk-free 30-day money back guarantee. Quarterly to triennial billing terms are available. You can upgrade the hosting plan at any time. WordPress shared hosting: You won’t have an option between specific countries here, since these plans come with a globally-distributed CDN. There are four plans total. You can choose one of their standard versions or add on the Security Suite, which includes extra anti-malware and cloud backups at an additional fee. Only monthly billing is available; however, there’s no money back guarantee. Semi-managed Linux KVM VPS Hosting: S. and Indian servers are available. If you opt for an Indian server location, your plans will come at a significant markup for the same features as the U.S.-based plans. Monthly to triennial billing terms are available. Most extra features like SSL certificates, a control panel, and so on come at an extra cost. There is a 30-day money back guarantee. Cloud Hosting: You can choose from U.S. or Indian servers, though the Indian versions are more expensive. There are three plans that each come with a 30-day money back guarantee. Dedicated Server: You can choose from Linux or Windows hosting as well as U.S. or Indian servers. You can upgrade and add on any features from an extensive list available. These dedicated servers are fully managed packages. Top Hosting Company offers fantastic support, whether on-site with hardware or network issues, or off-site with account-related hosting issues. They provide technical support to customers via email as well as a Dubai-based telephone line. It’s a little unfortunate that they don’t provide local phone support for their U.S. or U.K. hosting customers. The knowledge base on their website is comprehensive and updated, serving as a great self-help tool. If it’s hosting-related and you can name it, then it’s probably offered by Top Hosting Company. Their extensive variety of services and their configurability make them suitable for anyone, although it might mean your hosting won’t turn out to be as cheap as you hoped. Wondering how Top Hosting Company stacks up against other Web Hosting companies? Enter any other Web Hosting company and we will give you a side-by-side comparison.